Giant ragweed is a formidable, tough weed. One giant ragweed can grow up to 20’ tall, quickly diminishing yield potential by preventing sunlight from reaching shorter corn plants and consuming valuable nutrients for its own growth. Season-long competition from several giant ragweed plants has been shown to reduce corn yields by up to 13%* and thick groupings of the weed have been known to stop combines in their tracks, costing growers additional time and money. Start clean with tillage and/or a burndown herbicide application. 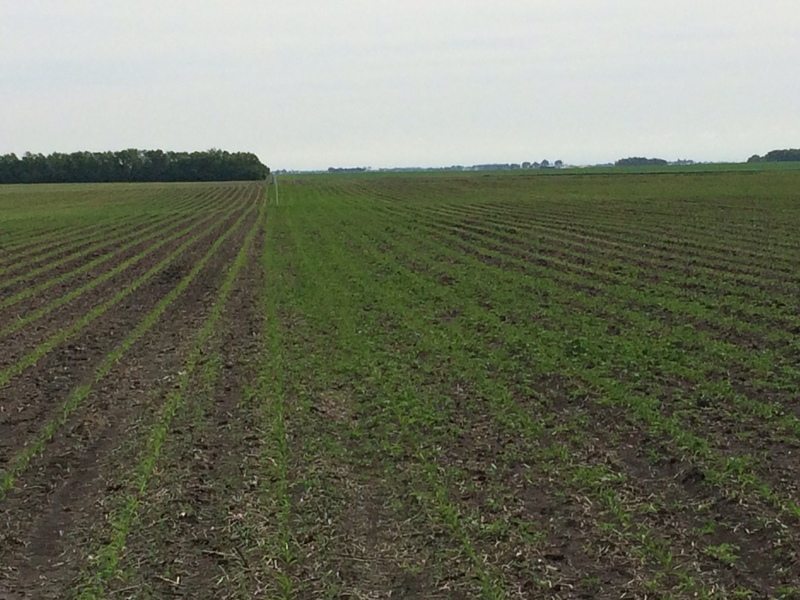 Starting the season with clean fields allows corn to start strong and maximizes its potential. 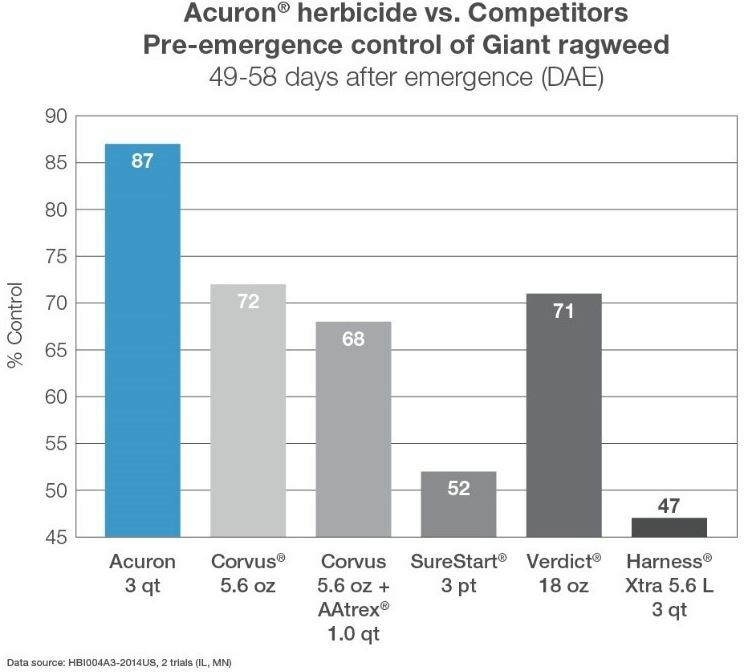 Apply a pre-emergence residual herbicide like Acuron® or Acuron Flexi with multiple, effective modes of action at the full-labeled rate. Acuron and Acuron Flexi contain bicyclopyrone, a HPPD inhibitor shown to provide a high level of consistent control on tough weeds like giant ragweed, even resistant biotypes. Cut-rate applications may not provide optimal weed control and put more pressure on post-emergence herbicide applications. In a two-pass system, a foundation rate of Acuron or Acuron Flexi should be applied pre-emerge and then followed with the remaining rate post-emergence. Scout corn fields often throughout the season and control escapes to prevent giant ragweed from going to seed. One giant ragweed produces up to 5,100 seeds per plant. If allowed to go to seed, these seeds are deposited into the weed seed bank, creating costly weed control problems for years to come. Syngenta hereby disclaims liability for third party websites. ©2017 Syngenta. Important: Always read and follow label instructions. Some products may not be registered for sale or use in all states or counties. Please check with your local extension service to ensure registration status. AAtrex 4L, AAtrex Nine-O and Acuron are Restricted Use Pesticides. AAtrex®, Acuron®, Nine-O®, the Alliance Frame, the Purpose Icon and the Syngenta logo are trademarks of a Syngenta Group Company. All other trademarks used herein are the property of their respective owners.